Aluminum Mess Plate | BUDK.com - Knives & Swords At The Lowest Prices! 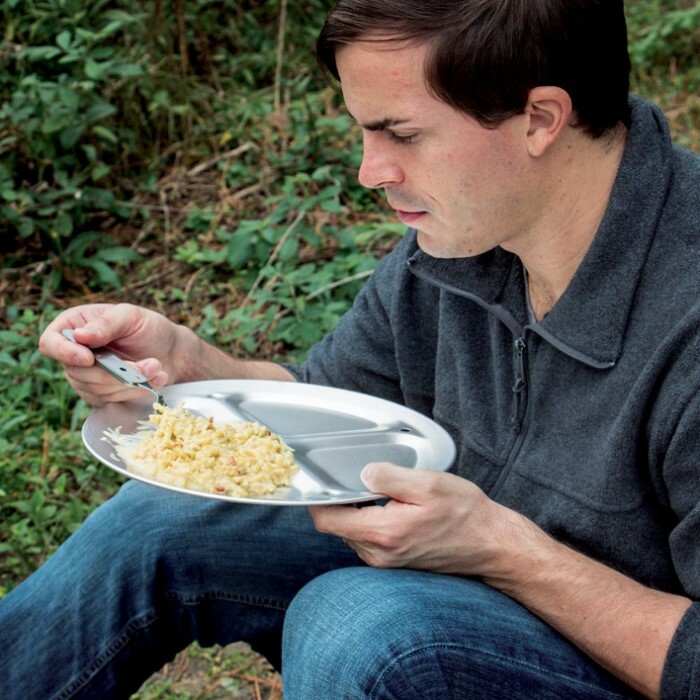 Our Mess Plate is perfect for eating that delicious meal you prepared over the campfire. It has a lightweight but sturdy, rust-resistant aluminum construction. The three-section plate is a nice sized 12" in diameter. Make sure everyone in your crew has one of these handy mess plates. 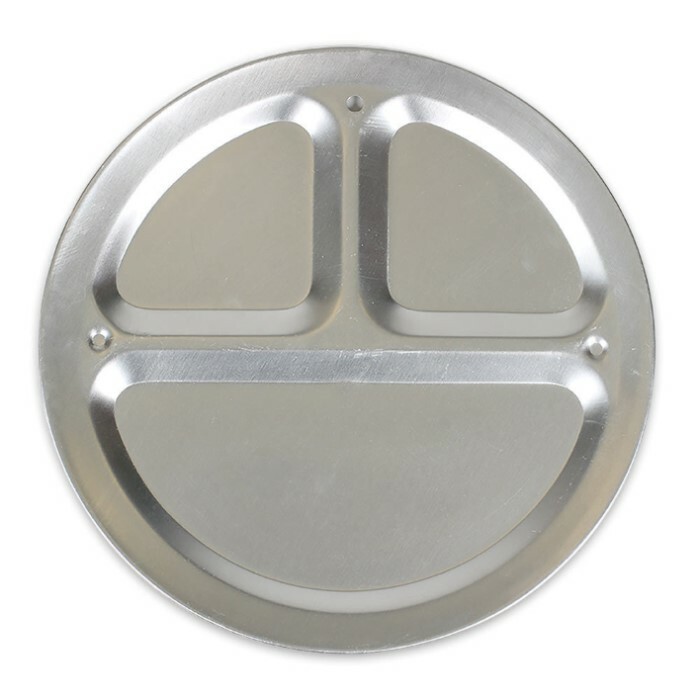 It bends a bit, the 3 sections are not deep but the plate it very wide in diameter. I would not recommend this if you plan to eat lots of food on it. But hey, you can use this as a Frisbee too! The thin aluminum is not going to last long for camping. Backpacking? No way. Tailgating? Perhaps. The compartments are not deep either. It was the style I wanted but these things will not last.